Here’s the current fresh beer menu. Thanks to Winslow, our hometown brewer. 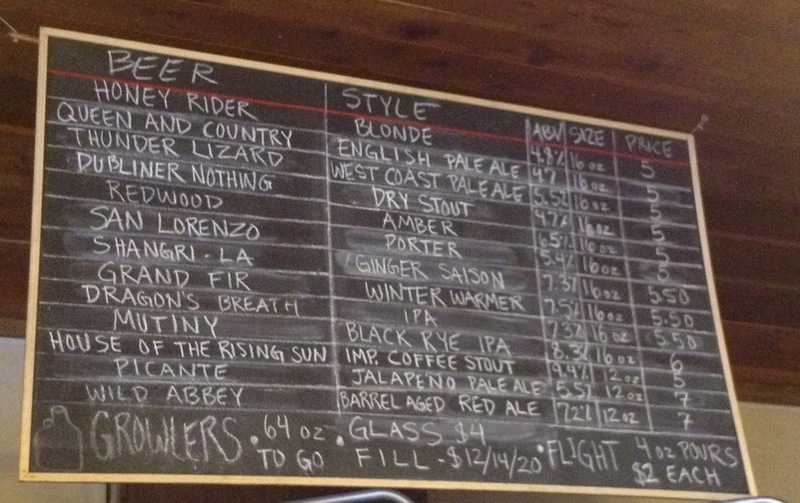 The “Queen and Country” english ale is especially good as is the San Lorenzo Porter. Click the image for a closer view. I second the vote for the Queen and Country. Very tasty!